In a Mobile ad hoc network (MANET), scalability, dynamic topology and high mobility are the most significant challenges to perform the routing with improved network lifetime. According to the geographical location, geographic routing termed as position-based routing performs data transmission between source node and destination node in a MANET. But, geographic routing protocols were not able achieve effective routing with enhanced network lifetime by improving the resource optimization and optimal coverage performance. In order to improve the resource optimization and network lifetime, an efficient Particle Swarm based Resource Optimized Geographic Routing (PS-ROGR) technique is introduced in MANET. Initially, each particle (i.e. 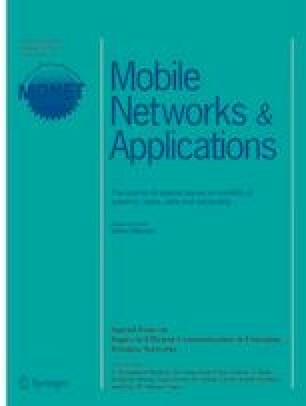 mobile node) movement in a network is controlled by its local best known position in the search space (i.e. geographic location). The PSO permits all the particles in the network to communicate with the other particles with minimum energy. The particle which has the better global best function is selected for energy efficient routing based on the fitness value. Therefore the entire particles share the similar best position to optimize the network resources. Thereby, the PS-ROGR technique prolong the lifetime of the network with minimum energy utilization. Simulation is carried out on the factors such as packet delivery ratio, average end to end delay, energy consumption and network lifetime. Thus, the proposed PS-ROGR technique improves the network lifetime by 22% and reduces the average end to end delay by 46%. Then, the packet delivery ratio is enhanced up to 11% and energy consumption is minimized to 16% with the help of proposed PS-ROGR technique.